I've changed the title of this blog to Coal Mine Canaries. You've probably heard the phrase "a canary in the coal mine," which refers to the practice of sending a canary into a coal mine to see if there were noxious gasses inside. If the canary died, voila, there was your answer. The clear message was don't follow that bird. A few years ago, one of my dear friends became very sick. She had been exposed to some mold in an apartment air conditioner, and it caused her system to go totally ballistic. We all desperately prayed for her as she went from being one of the most vibrant people I knew to a fatigued girl who felt like crap all the time. By God's grace, she got better. She ended up with an extreme chemical sensitivity, and from my friendship with her and her sister, my awareness of all the chemicals in our environment has been increasingly raised over the years. Which is why in our house I buy natural cleaning products, get a headache from my husband's scented deodorant, don't burn candles, and I don't use perfume. But her body is no different from mine - it's just hypersensitive. Those chemicals are affecting my body too, just not quite as obviously. For the rest of us, I think the effect is often just as powerful, only much slower. We don't get sick immediately. Instead, one day, we get a brain tumor. Or breast cancer. Or fibromyalgia. Or lupus. Or we can't get pregnant. Or we start menopause at age 35. My friend is actually one of the more blessed ones - she was forced into a very quick wake up. My son is a canary. If I ingest red dye #40, I might get a headache or get crabby, but I won't associate it with that peppermint I grabbed on my way out of Pappasitos. Same for the rest of my kids. But little four year old, 35 pound Ike has results that are instantaneous. He eats a pickle, he spits, pinches, pushes and hits the other kids at school. He eats a Nutella sandwich, and his language instantly declines and he stares at you blankly when you ask him a question. He swipes some Doritos, and he wets his pants and sobs uncontrollably when his train track won't connect. Ike is my precious little canary. He's made all of us aware, so aware, of all the junk that I was feeding my family when I thought I was being a healthy mom. He's made it very clear that a tiny bit of poison is far, far too much. God used Ike to save my family, I'm convinced of it. We may never know the devastating effects he prevented by forcing me to find answers. The canaries in our lives are our greatest blessings. We too have a canary in our family. He just turned 5 years old last week. Our struggles with his sensitivities began when he was 6 weeks old, and we didn’t really have a handle on the scope of things until he was 15 months old. 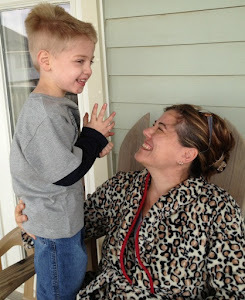 I wanted to encourage you in your process, because I too believe that our sweet boy’s sensitivities were one of the best things that has happened to our family. It was hard at first. I mean, regular meltdowns for momma hard. But now I can’t imagine going back to our old way of eating. Our entire family is healthier. And as a fellow follower of Christ, be encouraged in the gospel. While the curse can be found not only in our hearts but in the food we eat, He has already defeated sin. One day my baby will be able to feast at His banquet table. For that I’m grateful, and I long for my Redeemer. Ben is my five-year old canary! I am loving reading your blog . . . I've been on the journey--not totally Feingold--more gluten free, preservative free, dye free . . . But it's a journey, and we are constantly learning from our mistakes. Thank you for sharing your journey. It means the worlds to a little momma in The Woodlands who nagivates the same muddy waters. Means the world!